Simon Singh is the author of several bestselling science books, including 'Fermat's Last Theorem' & 'Big Bang'. Most recently he co-authored 'Trick or Treatment? Alternative Medicine on Trial' with Professor Edzard Ernst. His Radio 4 programmes include 'Five Numbers', 'Five Particles' & 'The Serendipity of Science'. Recently there have been a series of high profile libel cases brought against scientists, science writers and medical researchers. 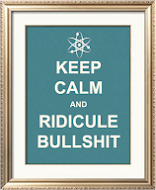 Simon Singh, who is currently being sued for libel by the British Chiropractic Association, will argue that English libel laws crush free speech and block scientific progress. He will explain how our libel laws are notoriously friendly towards claimants and hostile towards defendants, which means that international libel cases are brought to London. Singh will also give his views on how libel laws could be reformed to bring them in line with other democratic countries, and will explain why he is backing a national campaign for libel reform. 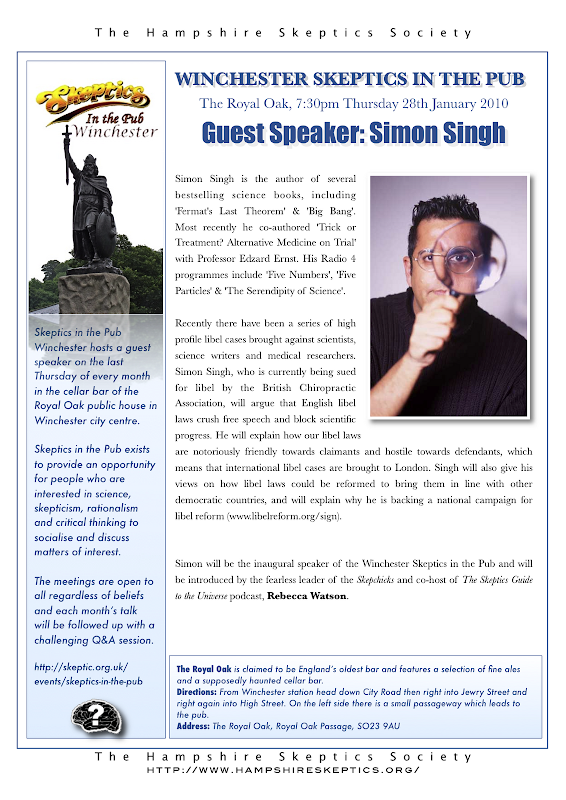 Simon will be the inaugural speaker of the Winchester Skeptics in the Pub and will be introduced by the fearless leader of the Skepchicks and co-host of The Skeptics Guide to the Universe podcast, Rebecca Watson. Will be there with bells on, barring an act of God, of course. Like snow or something.